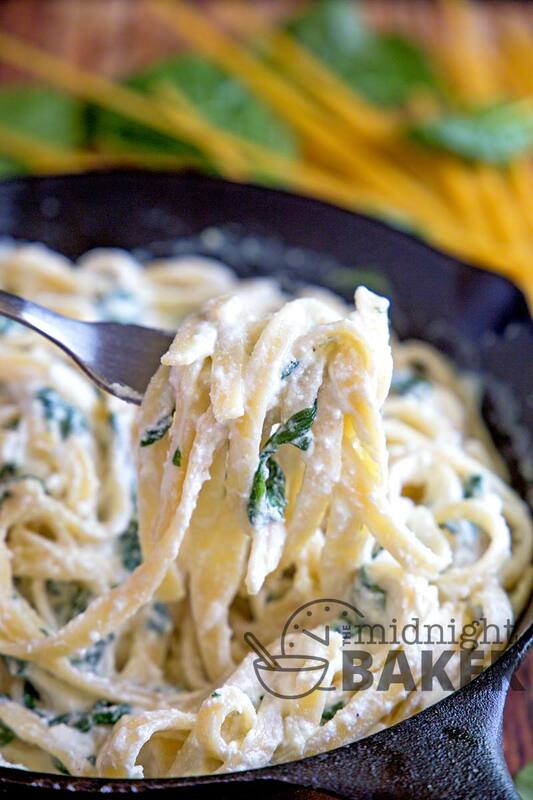 This tasty fettucine features a creamy ricotta sauce with spinach. It’s an excellent side dish that can also be a meatless main course. How many of you buy that noodles and sauce pouch for a quickie side? I have to admit that I do (and still do when on sale). 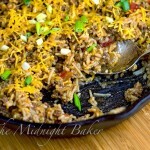 But just recently I ran on this great recipe from Budget Bytes and was instantly hooked. 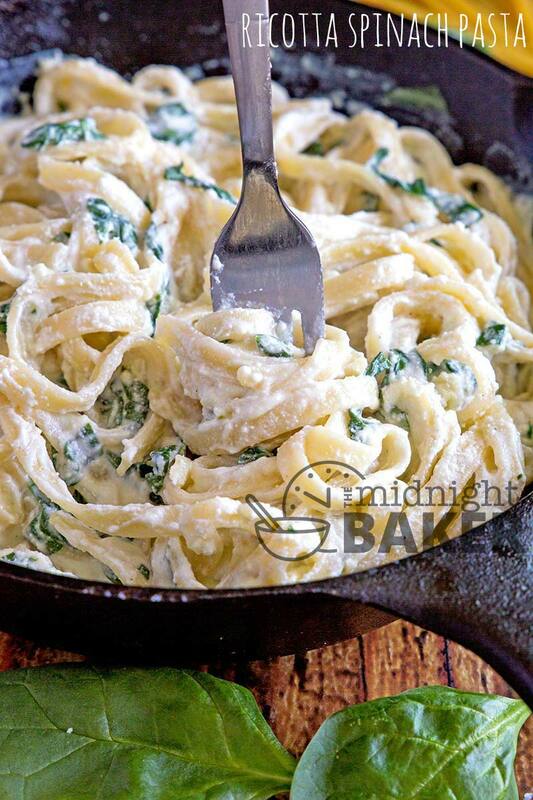 Not only did this look delicious and creamy, but it was as easy as 1-2-3 to whip up. This isn’t just a great side dish; it can also fill in as a meatless main dish! 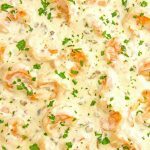 This recipe is very versatile! I made this with fettucine, but linguine or ever plain old spaghetti will do. Made the basic way, this recipe is very good. It’s nice and garlicky for those who love the pungent bulb. However, it’s one of those dishes that can be made into something really bursting with flavor. 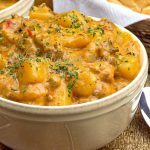 I added to Beth’s super recipe–with ingredients and flavors I personally like. I added more garlic because I just love the stuff, but if you want a milder flavor, use half the amount I used. Also, I added a bit of Romano cheese to add a bit of pungency to this. You could use Parmesan too if you prefer a milder flavor. Last but not least, I included a shake or two of red pepper flakes for a hint of heat. Like it hot? Just add more! While frozen chopped spinach is perfectly fine to use, I personally use fresh baby spinach whenever possible. Since the frozen stuff must be defrosted first, you are taxed with squeezing all the liquid out. This really isn’t possible and whatever water remains will water down the sauce. This doesn’t happen when you use fresh baby spinach leaves. 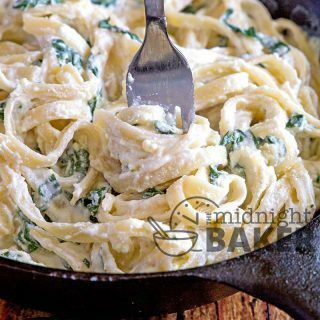 As the spinach only has to be lightly wilted, no water will be extracted from it and the sauce stays creamy. Cook pasta according to package direction. Reserve about ½ cup of the pasta water. Heat a large skillet over medium heat. Add garlic and cook for about 1 minute; do not let it brown. Add the ricotta, milk and grated cheese. Add salt and pepper—but taste first before adding as you may not need it. If sauce seems to thick, add some of the reserved pasta water. Serve over the cooked pasta. This is now part of my favorites list. It is so good. 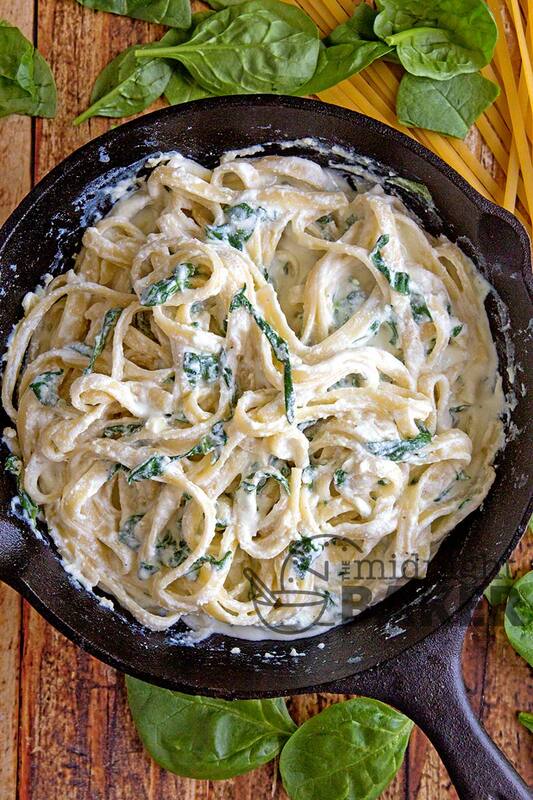 I love it with linguine. 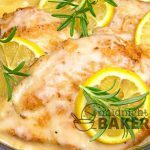 It is amazing that it’s easy to prepare that even an amateur cook can do it. Thank you for sharing this recipe.